On Tuesday, NBA commissioner Adam Silver held a news conference to announce the league's historic commercial partnership with MGM Resorts. Here is the full transcript of Silver's comments (reporters' questions are in bold). Adam Silver, NBA commissioner: Today we're here for what we believe is a historic announcement -- and that is that MGM Resorts will be the NBA's first official gaming partner. This is an industry, an area that we've been discussing a lot over the last several years. Of course, with the Supreme Court's repeal of PASPA (Professional and Amateur Sports Protection Act of 1992) a few months ago, this has all really come to a head. I think it's no secret that the people who've been following this league know our first choice was to have a federal bill that would replace PASPA and create a consistent national framework for sports betting, but that's not the landscape we're currently dealing with; we're working with state-by-state. And as I've also said, while we've had discussions throughout the country with state legislatures, we also indicated that we were open into entering into commercial relationships directly with casino operators. MGM has a very unique position with the NBA and the WNBA. Of course, the MGM -- through Jim Murren as their CEO -- is the owner of the Las Vegas Aces, our WNBA team in Las Vegas. 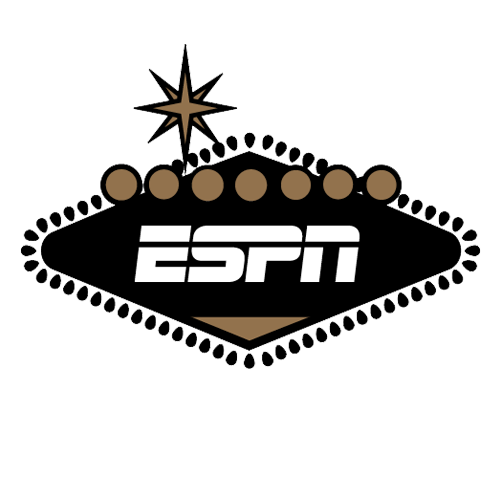 And in addition, MGM is our partner in the Las Vegas Summer League. Jim and I had an opportunity to spend a fair amount of time together in July when I was in Las Vegas for the summer league, and we said let's take advantage of this opportunity to do something historic -- and that is to enter into the first commercial partnership between a gaming establishment and the NBA. And what this relationship entails is access to official data, for the many casinos that MGM operates -- the use of the NBA's intellectual property -- and as we discussed before, we're very focused on integrity provisions to protect our fans, to protect those who choose to engage and bet on the NBA. We'll get into some of those details later, but as I said, to us there was no better partner out there in the gaming business to begin with than MGM -- both because of the breadth of their holdings. They have roughly 12 resorts just in Las Vegas alone, and operate in several other states. I'll add that Nevada has, by far and away, the most sports betting experience in the country. Sports betting has been legal in the state of Nevada for almost 70 years. So there's an enormous amount of regulatory experience there on how to deal with sports leagues and how to deal with bettors. And for us, I know the way Jim and I both approach this would be that it would be a learning experience. We didn't overnegotiate the deal. I think there was a lot of good faith involved, which can only come about when you have a pre-existing relationship with your partner -- and I think that -- and compliments to the folks at MGM and to the many people at the NBA who worked on this deal. We all realized that there were certain areas where we just didn't have enough information, frankly, to keep negotiating to the nth degree -- that we were better off saying, let's work on -- in terms of reasonableness and good faith, and let's see how this business begins to unfold. I have to say, lastly, what was very important for the NBA was that we were able to establish, through a commercial relationship, that indeed we should be compensated for our intellectual property and for our official data. And I think that ultimately, it was on us to convince MGM that there was a commercial benefit to compensating us for that data -- that this wasn't just about doing the right thing in terms of intellectual property, but that through this relationship with the NBA and the WNBA, that Jim could indeed differentiate his business from his competitors. And number one, with this official gaming status designation that MGM and its properties will have, but also, by creating a better user experience for gamers. So that they know when, whether they're at a bricks-and-mortar casino or they're using his app online -- that it's gonna be an experience that both MGM and the NBA have worked on together, where the consumer is first and foremost. Lastly, I'll just say we're thrilled, Jim, to be entering into this partnership with you. I could not think of a better person and a better company to begin this relationship with. And now, I hand this over to my friend, Jim Murren. I don't expect you to disclose the price here, but can you tell me in any way, is this deal predicated on how much is bet on NBA games? Silver: The short answer is no. It doesn't work specifically that way. I think we're still having our discussions with our states about so-called integrity fees based on handles. I think here, as Jim said, there's so much that's unknown. I think we understood the value of our marks, of official designations. I think that comes more from the world of what we call marketing partnership at the league. But I think then, in terms of the data we're providing, we have a sense of the magnitude of this current business, and a sense of where things may go over the next few years. And I'd say we generally, I would say, try to approximate, in a sense, to come up with what we thought was fair compensation. And I will say that we do feel that we're being adequately compensated. But at the same time -- again, to echo what Jim was saying -- I think there was a recognition here that it's a leap of faith on both sides. It's a deal, moderate in length, where I think we can both step back and assess as we go, and see, "Is this working? Is this deal fair? Are we providing the consumers with the right type of experience?" So I would just say that, to me, there's many different ways to skin the cat, so to speak. And we decided here, rather than sort of re-litigating the integrity fee, which is still being hotly discussed state by state, let's find an approach which is unique to us and where we both feel that we're being fairly treated. Does this mean that no other big, major casino will be able to do a deal like this? Is this exclusive to MGM? What about teams that may want to work with a local casino in their market to do an official data? It seems like there's a lot in this deal that looks a lot like what you guys were lobbying for on the state-by-state level -- official data, league data, anonymous data-sharing. Is this a shift in strategy from accomplishing your goals, state-by-state legislature-wise, to accomplishing those goals operator-by-operator? Silver: It's a bit of a shift -- again, I just go back to first principles for us. Our initial strategy was a consistent federal framework. And then there was a shift in that strategy when we saw that wasn't gonna happen, with the repeal of PASPA and no federal replacement, that we were then gonna be looking at a state-by state strategy. And once we began the discussions with the states -- I mean, we're realists as well, and quickly saw that it was gonna be an uphill battle to get the state to agree with what we thought was the appropriate framework. I mean, by the way, it's still early days in those state-by-state discussions; and there's only a few states -- at least twenty states are currently considering legislation, but only a small handful have actually passed bills so far. So we're still having those discussions. But I think we said at the same time, including to the states, that we never ran from the fact that we thought he could accomplish commercially a lot of what we were trying to achieve with the state legislature. But as I said, I don't think that's the ideal way to approach it. I'm certainly a believer in this industry, both in sports and gaming, that there is a place for appropriate regulation. And I think that the notion that, again, by MGM's willingness to go first, that he's increasing his cost structure potentially against a competitor that doesn't choose to purchase official data, isn't necessarily where you want to be, either from a league or consumer standpoint. Ultimately, though, I have complete belief in what Jim is saying -- and that is that they're gonna win in the marketplace, those operators who create the best experience for consumers that have official data, that have the official imprimatur of our league and other leagues as well, are gonna be those that win in the hearts and minds of the consumers. Commissioner Silver -- going into this partnership, were you aware of MGM's plans to sue the shooting victims in Las Vegas? Do you have any qualms in forming a partnership with such a company? Silver: I certainly was -- I didn't have pre-existing knowledge of their plans; I, of course read in the media when that lawsuit took place. And Jim and I discussed it, and I dealt with Jim, frankly, the very day after the shootings took place last fall. And I would just say, I can't imagine a company that could've responded in a more appropriate and heartfelt way than Jim did to those shootings. And I also am a lawyer; I haven't practiced in a long time, but I recognized that sometimes a legal strategy does not always lend to the best communication strategy. And I think there -- I think when people actually step back and understand what that lawsuit was about -- which is essentially whether folks should be suing under state or federal law -- and his lawyers -- I don't know the details; I'll let Jim speak to this, felt that was necessary on behalf of the company to sue and bring all those lawsuits into a common form. I would say, as a lawyer, I understood him. But I've only been sympathetic to both the employees of MGM, and the hundreds if not thousands of lives that were impacted by that shooting. So no, my reaction wasn't "This is not a company we want to do business with" -- in fact, as I said, just from dealing with Jim throughout that crisis, I don't know how he could've responded in a better way. And I saw the toll it took on him personally. Does this include Second Spectrum tracking data? Silver: In terms of the Second Spectrum tracking data, it will include some of it. I think we're -- part of -- I think what we both agreed requires a certain amount of good faith and reasonableness. And this goes to the consumer protections as well -- is precisely what sports bets on the NBA, MGM and its affiliates should be taken. What underlies the question is Second Spectrum data that tracks players throughout the arena; it's unclear how that data might be used in some sort of proposition bet or some in-play bet. And I think that's something we have to work out. I mean, I think -- and again, how those bets would be verified; how that data would be provided. As Jim said, this is a whole new world for us. My sense is initially it probably would not include the Second Spectrum data. But I think it's something, as we build what the appropriate official data field are for gaming over time, that's something we'll continue to look at.